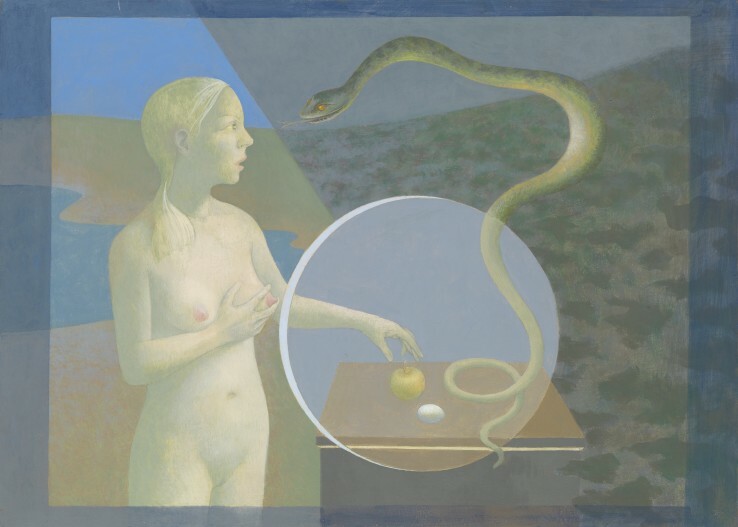 The Redfern Gallery is pleased to present a new exhibition of works by British-born artist and Royal Academician David Tindle. 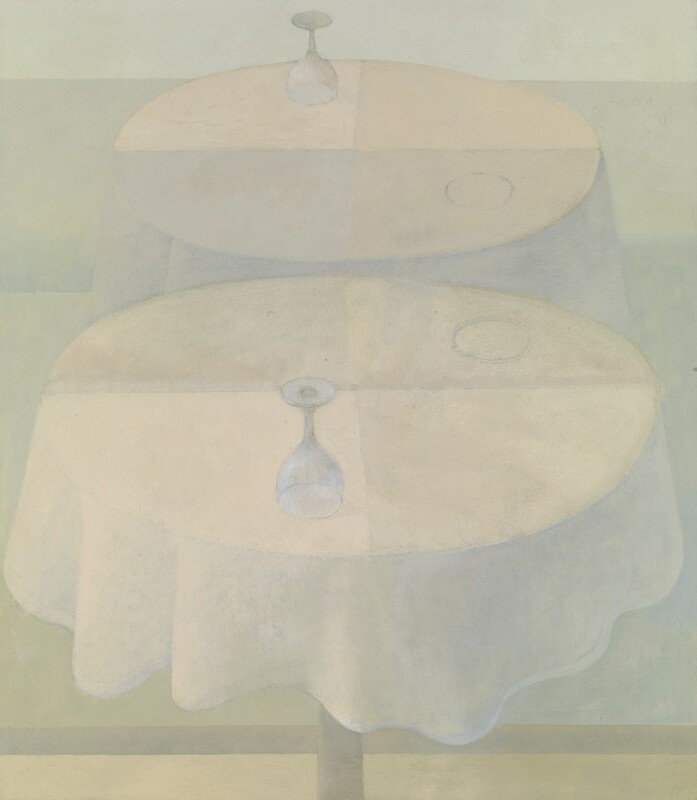 This show draws together two familiar strands within the painter’s practice: the attention to the everyday and the depiction of still lives, whereby images are suspended in time through the distilling contrivances of the egg tempera technique and the stability of oil paint. For the recent small-scale paintings installed across the entrance corridor, Tindle takes inspiration from the candid views available to him in his everyday: a man walking his dog in the park, a young couple strolling, a glove laying beside an egg, a lamp standing in a living room, mellow orange fruits on a white plate. 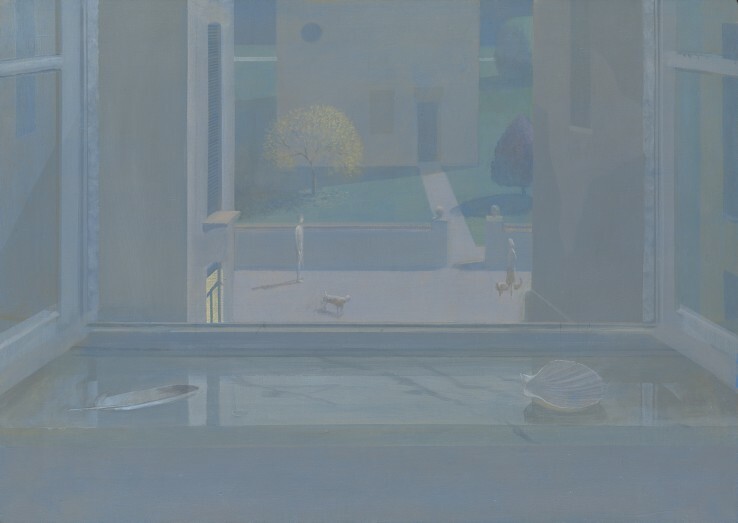 In these works the artist revisits the quotidian by emptying its ordinariness from within, both metaphorically and physically, as it seems that the subjects are being observed from the interiors of a building. The canvas is employed as an aid to framing reality, a suggestive parallel identifying paintings with windows onto a personal world populated by universally familiar elements. The works displayed in the main gallery present scenes imbued with an atmosphere of temporal indefinability. Objects take on the bodily presence of human beings by inhabiting spaces verging into mute stillness. Open windows are now shut, as is the world outside, enclosed within a suspended dimension. Pairs of hinged louvres prevent our eyes from seeing, they filter light by reducing it to particles of pulviscular powder. The remaining works on display present human figures within seemingly unfurnished interiors. The voyeuristic pleasure of the observer watching them is disillusioned by their stillness. “What are they thinking?”. “Who are they looking at through the window?”, one might ask himself by confronting these paintings. Human beings are reduced to mannequins without a face or a name. Their thoughts are impenetrable. Anonymous figures express themselves through non-verbal communication and dilute their speech through prolonged periods of silence. Tindle plays with our ability to envisage ourselves as the figures in his paintings. He closes and opens windows as if these were our eyes. He shows what lies beyond the shutters and then casts the world into the shadow of dark Italian interiors, protected by the heat waves of the summer. Tindle’s domestic exercise in painting and observation culminates in a self-portrait. 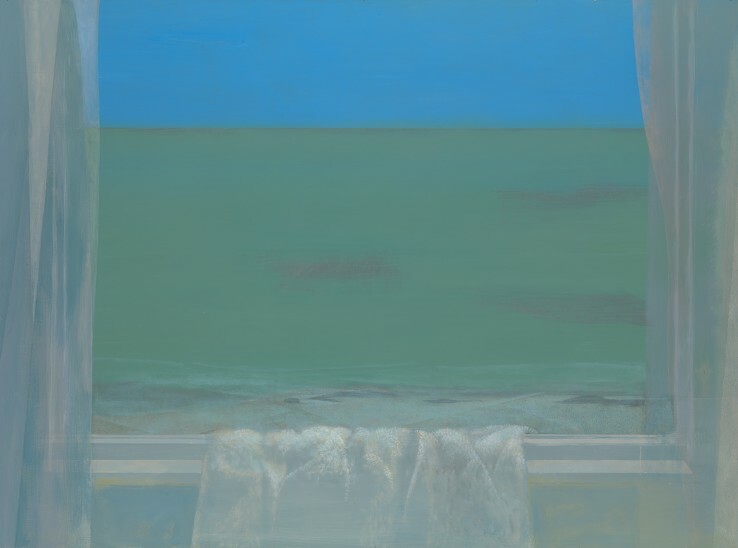 The artist sits in front of an open window and stares out at us: he is the window, he is the refractory surface mediating between the painted and the real world, eternity and ephemerality, otherness and ourselves. David Tindle studied at Coventry School of Art from 1945 to 1947. He taught at Hornsey College of Art and Byam Shaw School of Art from 1959 to 1974 and in 1972 was appointed visiting tutor at the Royal College of Art, where he remained until 1983. He went on to be made Ruskin Master of Drawing at Oxford University from 1985 to 1987. Tindle was elected Royal Academician in 1979 (ARA 1973) and was made a Fellow of the Royal College of Art in 1981. 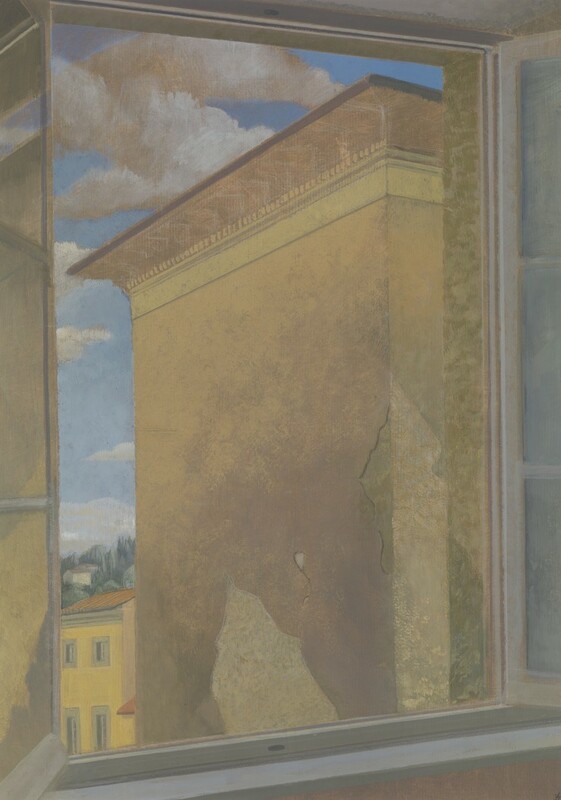 David Tindle lives and works in Italy.